Accompanied by the Berliner Philharmoniker (Berlin Philharmonic Orchestra), Israeli-American violinist Itzhak Perlman performs Ludwig van Beethoven’s Violin Concerto in D major, Op. 61. Conductor: Daniel Barenboim. German tenor and conductor Peter Schreier sings Franz Schubert’s Ständchen (Serenade), a beautiful love song for voice and piano. Piano: Rudolf Buchbinder. Recorded at the Schönbrunn Palace in Vienna. Itzhak Perlman performs Pyotr Ilyich Tchaikovsky’s Sérénade mélancolique in B-flat minor for violin and orchestra, Op. 26. Recorded during the Tchaikovsky Gala in Leningrad (currently Saint Petersburg). Accompanied by the Philadelphia Orchestra, the Israeli-American violinist Itzhak Perlman performs Pyotr Ilyich Tchaikovski’s Violin Concerto in D major, Op. 35. Written in 1878, it is one of the best known and most performed violin concertos, and is considered one of the most technically difficult works for the violin. Conductor: Eugene Ormandy. Accompanied by Fujii Yumi on the piano, the Japanese mandolin virtuoso Izumi Toru play Zigeunerweisen (Gypsy Airs), Op. 20, a musical composition for violin and orchestra written in 1878 by the Spanish composer Pablo de Sarasate. At Lutheran Ichigaya Hall,Tokyo. 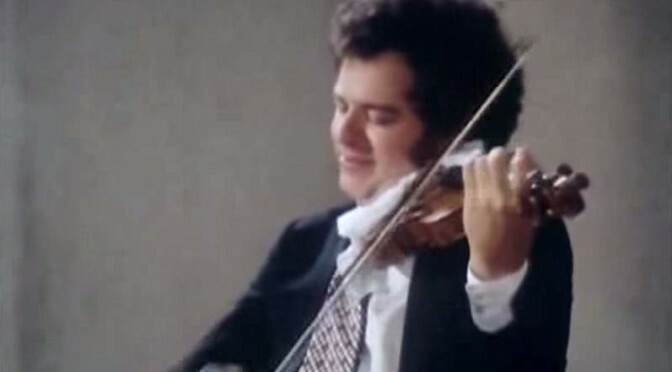 Itzhak Perlman plays Johann Sebastian Bach’s Partita for Violin No. 2, BWV 1004. The piece was written between 1717 and 1720. Accompanied by the Berliner Philharmoniker (Berlin Philharmonic Orchestra), the Israeli-American violinist Itzhak Perlman plays Ludwig van Beethoven’s Violin Concerto in D major, Op. 61. Conductor: Daniel Barenboim. Recorded live in November 1986 in Berlin.